What is a Global Watch? ​When one thinks of a “Watch,” or thinks of the term “watchman” there are many conjectures and presumptions that can influence our view or opinion of what such an entity means. The vision for the USA Watch is both a wide and deep call to the body of Christ for the hour we now live in. We believe it is a critical time to be more effectively linked with infrastructure strength through relationship. Scriptures speak of the importance of relational function in the body of Christ. ​Jesus said, "You shall love the Lord your God with all your heart, with all your soul, and with all your mind. This is the first and great commandment. And the second is like it: 'You shall love your neighbor as yourself. On these two commandments hang all the Law and the Prophets." Matthew 22:37-40. ​Such commitments and endeavors cannot be underestimated to combat the increasing challenges and lawlessness around us. The vision for the Global Watch is both deep and wide. From our personal call as believers to be intercessors and watchmen, to building relationships within our own culture and community, to connecting with others across the nations, the call of the watchmen is real and intensifying. The trumpet is sounding a clarion call. It is an important part of God’s end time plan of calling the body to become the Bride. God is taking us all back to the foundations of what He created us to do, to "tend and keep" the garden he gave us, Genesis 2:15. To "tend" is the Hebrew word "abar" meaning, to serve. To "keep" is the Hebrew word "samar" meaning to protect. These are powerful words God commanded us as chief "watchmen" over the creation He gave us. The watchman call being issued is to serve what He has given us, to cause it to grow, multiply and be fruitful, and to protect and guard it from destruction. As watchmen, we encourage building relational infrastructure within your personal environment, and connect with others across your community/city, to link across the nation(s). The beauty of such growth is that the structure honors the culture from which it arises, does not interfere with present ministry vision, leadership structure, personal ministry call, or vision. The purpose of the watch is to join together, to “tend and keep” the gardens God has given us. As a result, all participating are strengthened! When establishment of the watch involves engagement with the cultural spheres of our society, government, education, media, arts/entertainment, church, business, and family, true transformational impact is the result. Such cooperation is a natural outflow of a functional watch and the power of the "Watch." Many of today's troubles, degradation of society, moral decline, go back to the fact that we have lost the mandate to truly "Watch" over the gardens God has given us. 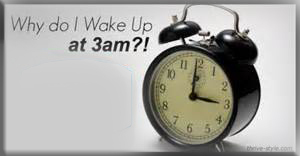 For more information on the impact and power of the 4th watch, (New Testament 3am-6am; Old Testament Night Watch) click here. The 4th watch is the beginning...it is the foot in the door to advance the Kingdom for a greater expression of corporate ongoing prayer, community, and Kingdom transformation in our cities to follow. The biblical story that portrays the power of the watch and carries parallels for the times today is from 2 Kings 11. Athaliah, the daughter of Jezebel and Ahab, ruled in Judah, with her husband Jehoram. Though Jehoram came from a Godly heritage, his father Jehoshaphat and grandfather Asa, he chose not to walk in the Lord’s ways. He was eventually killed and his son Ahaziah became king of Judah and Athaliah was the queen mother. When Athaliah seized the throne, she ordered the execution of all possible claimants to the throne. Only one escaped, Jehoash, who was hid by the priests Jehoiada and Jehosheba for six years. At an appointed time, Jehoiada and Jehoshebah established the “Watch,” at key gates of the city. It was then the true king was able to be revealed amongst the people. They were able to not only see but receive the true king as they cried, “Long live the king!” 2 Kings 11:12. The historical model of the “Watch,” emanates from the small town of Herrnhut in south eastern Germany. There, in a small unpretentious community, a place of refuge for religious refugees was established in the early 1700’s. As the cultural divide and differences widened, Count Nicholas von Zinzendorf, the Christian landowner of the area, called the various sects together exhorting them to work together as a community. Not only did they work together, but committed to pray 24/7 through which the love of God began to flow. That desire for His Presence and His love, became a vessel in which God continued to fuel. The “Vessel” they created of community and committment formed a “Watch.” In fact, Herrnhut means “the Lord’s Watch.” The result was that God poured out His Spirit inspiring over 150 years of 24/7 prayer, and a massive missions movement sending out over 3000 missionaries over the ensuing century and a half. Such vessels throughout history from the “Upper Room” in Acts 2 throughout revivals in history had these two ingredients of committed prayer, and relational strength. These were revivals that went beyond a few years lasting generations click here for more information. ​We live in parallel times when God is preparing the earth for the end time harvest and the return of the “True King.” The Watch being established at the gates of our cities and nations is preparation for Jesus’ return to rule and reign as King. He desires none to perish and the Watch is key for the release of this harvest. As we link together, the power of the Kingdom is multiplied and the enemy's plans nullified. Whether an individual or a larger city-wide house of prayer or center, or small home group that meets regularly for prayer and worship with a focus on His Presence, we would like to connect with you. There are plenty of opportunities available to help in an effort to bridge and build the infrastructure of prayer and worship across the nation. No ministry is too big or person too small to join in this effort. This effort requires everyone to take their place on the wall. In these most trying and accelerating days, the trumpet is sounding! May His people respond as God prepares His Body to be the Bride. We would urge you to take time to listen to a powerful message on the "Ekklesia" by Pastor Greg Simas, Convergence House of Prayer, Fremont, CA.